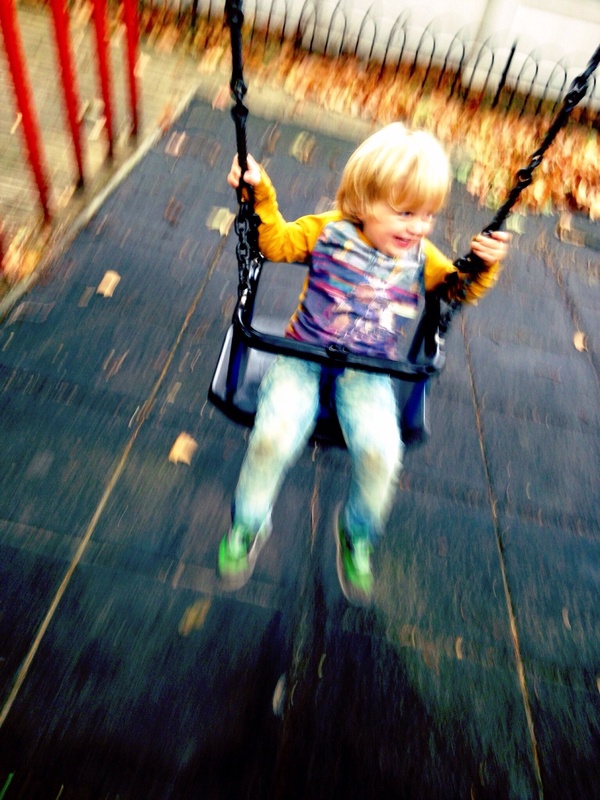 Arthur was a little superstar during our trip to London last week. There was lots about it that I think he enjoyed: he loved hanging out with new people in unusual places, and was totally captivated by the huge array of vehicles. But there was also lots that was rather testing for a toddler. Sitting still, mainly – on buses and tubes whilst we crossed the capital and in restaurants and cafés whilst mummy talked too much. 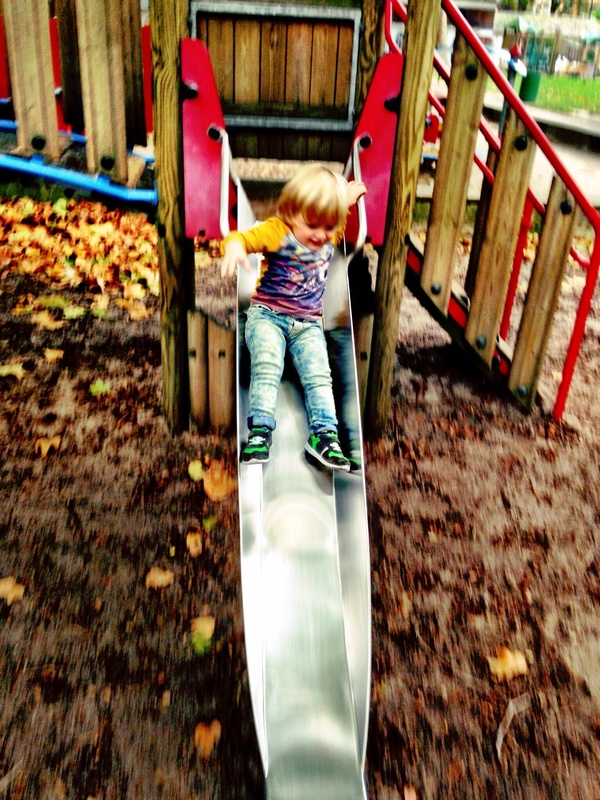 He just wanted to explore, to run around – ‘walk and play!’ was his increasingly frustrated refrain. And on Friday we found the perfect place for him to do just that. After a stroll around the not terribly toddler friendly British Museum and a very long wait for lunch at Strada, my friend suggested we go to Coram’s Fields. It hadn’t really been on my radar when I lived in London. 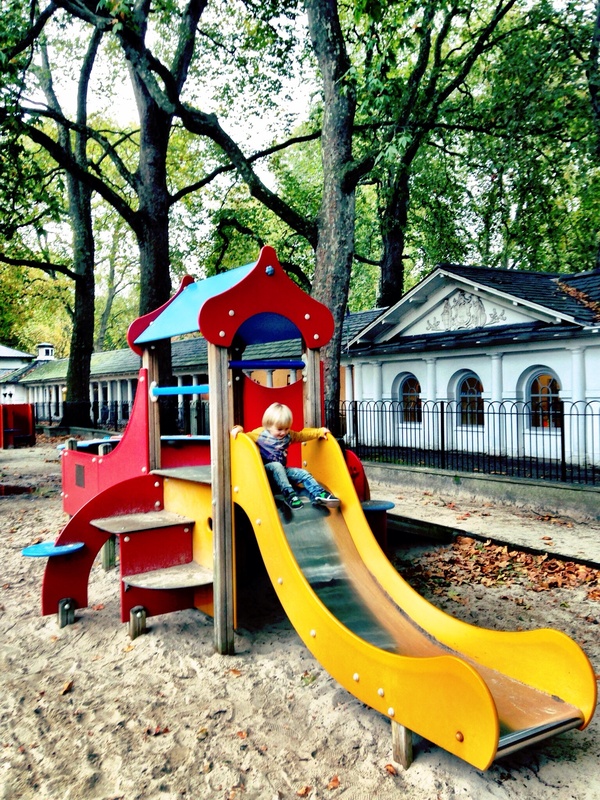 I mean, I knew it was there – but you can’t even go in unless you’ve got a kid, and it really is focused towards the needs of the city’s littlest residents. And Arthur absolutely loved it. 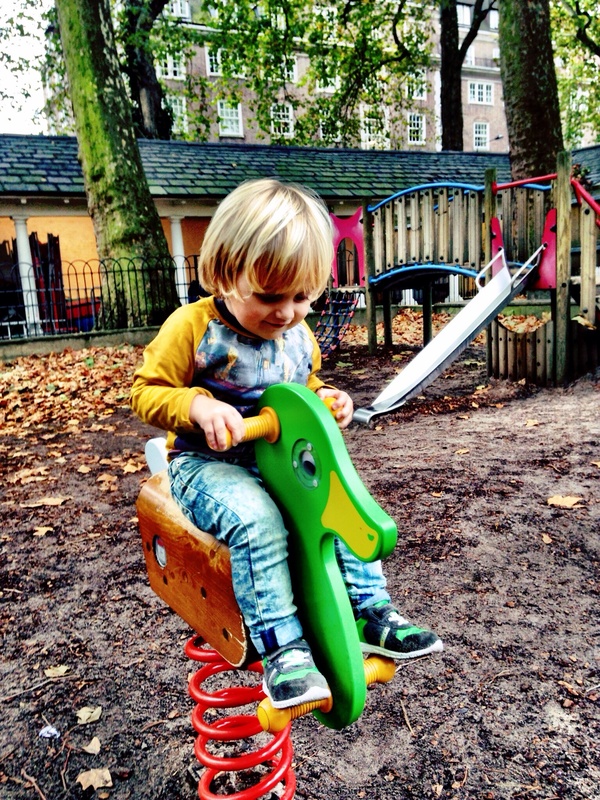 He rode on the little spring-mounted animals first, crossing between the duck and the horsey several times. 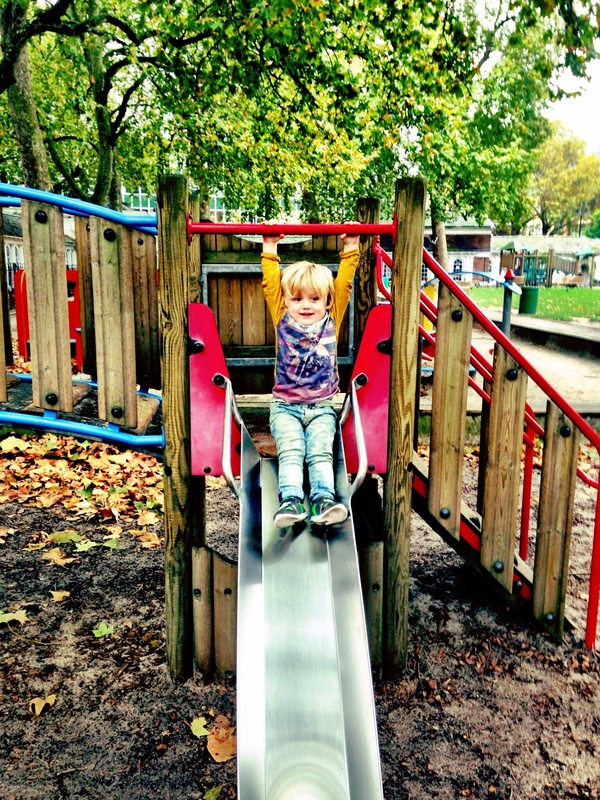 Then he saw the slide, making his way up the perfectly proportioned steps to show off the skills he’s learning in gymnastics – hanging off the bar and swinging himself onto the slide whilst I tried not to leap prematurely to his aid. 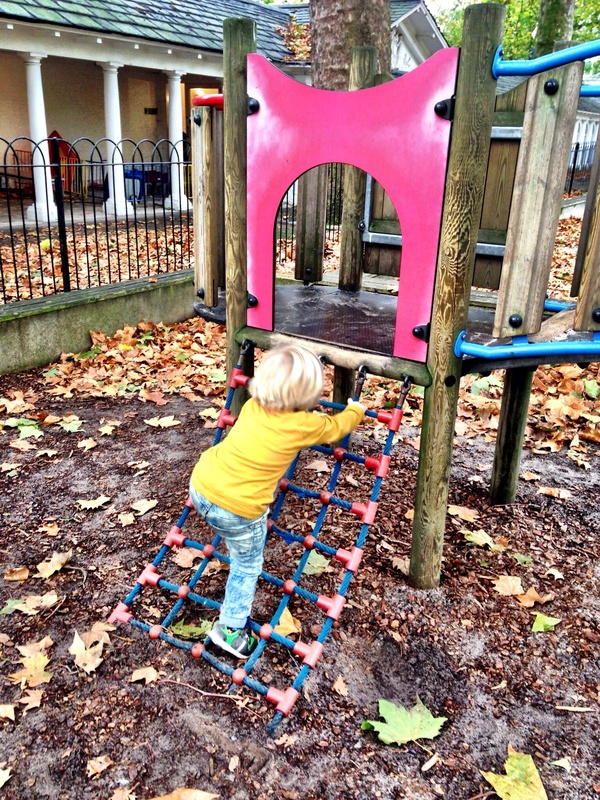 He had a go at climbing up the rope ladder too, and very nearly managed that on his own. There were lots of little ‘baby houses’ for Arthur to explore, and he loved running between them without needing me to hold his hand every step of the way. 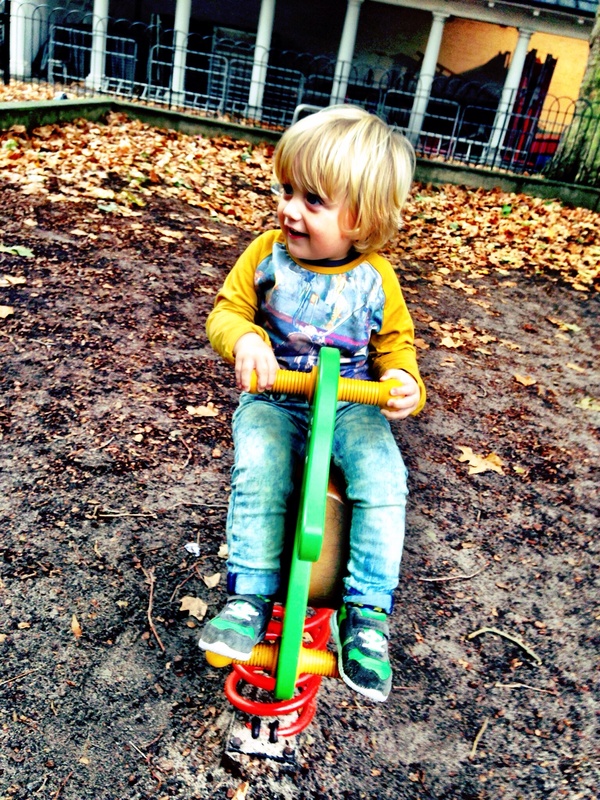 It was wonderful to see his increasing confidence, even if deep inside there was a pang of something else as I realised my little baby boy is growing up before my eyes. 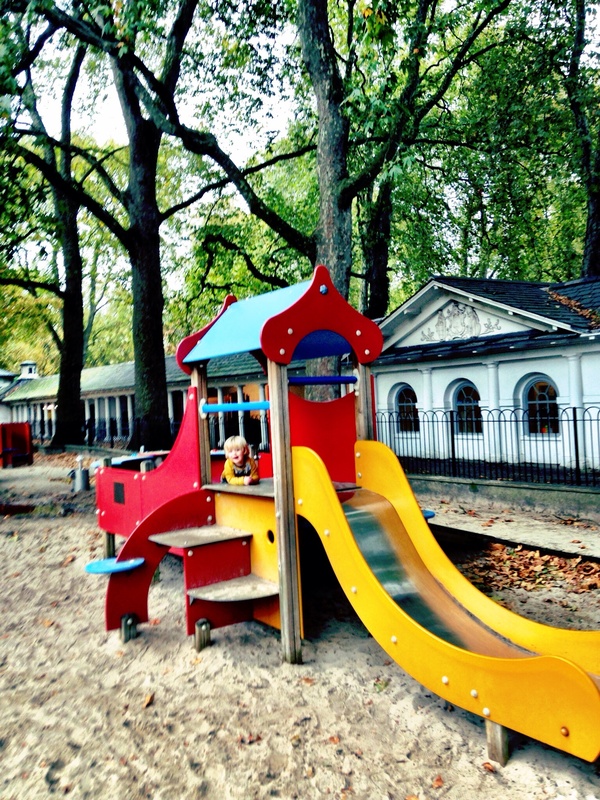 It was definitely a much-needed pitstop – it’s always great to find new playgrounds, and this is one I’d heartily recommend if you find yourself in central London with an energetic toddler in tow! 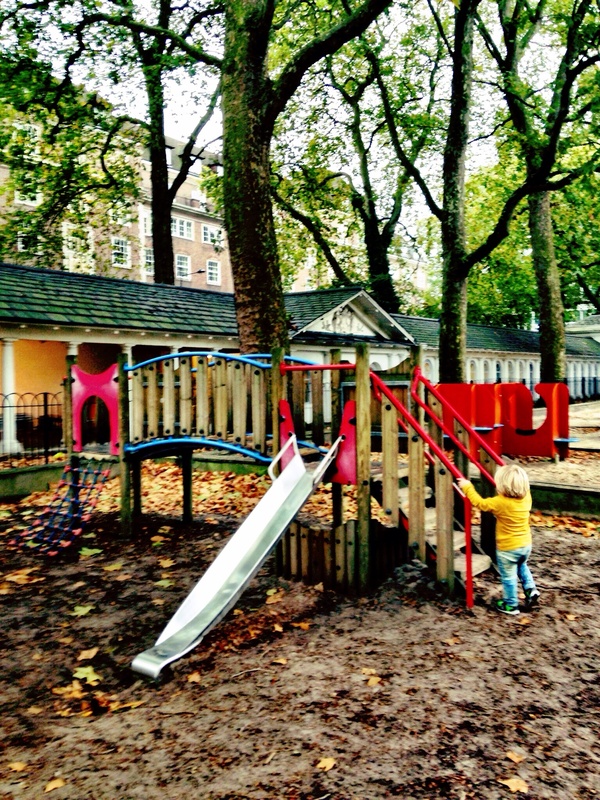 This entry was posted in Sophie is parenting, Sophie is travelling, Uncategorized and tagged Coram's Fields, independence, London, playground, toddler on October 27, 2014 by sophieblovett.